The three-day Grand National meeting will begin on ground described as good to soft at noon on Wednesday although clerk of the course Andrew Tulloch suggested there was the possibility of further showers last night. There are four Grade 1’s at Aintree this afternoon beginning with the Manifesto Novices’ Chase over two-and-a-half miles. La Bague Au Roi is unbeaten in her four starts over fences and she bypassed Cheltenham in order to be fresh and well for Aintree. The mare (7/4 favourite with BetVictor) receives 7lbs from the geldings but I have been looking forward to seeing Kalashnikov (1.45) step up in trip and believe today’s additional half-mile will see him in a better light. I am prepared to put a line though his poor Sandown run behind Glen Forsa on his penultimate start when he looked ill at ease going right-handed. The selection had not been asked a question when brought down in the Arkle at Cheltenham last month and I feel he can reverse Sandown form with Glan Forsa who was an early casualty at the Festival. Kalashnikov is 4/1 at BetVictor and is a fascinating runner in what is a cracking start to the meeting. Defi Du Seuil misses the opener though injury and the opportunity to follow up his JLT Novice Chase success from last month. Defi Du Seuil did the Triumph Hurdle/Doom Bar Anniversary Hurdle double two years ago and Nicky Henderson’s Pentland Hills is 6/4 favourite with BetVictor as he bids to double up in the G1 Juvenile Hurdle. The market leader is two from two over timber and will be a tough nut to crack having overcome a bad blunder at the first at the Festival. Band Of Outlaws (2.20) did us a favour when landing the Fred Winter last month and I feel he will love today’s conditions. Preference for Joseph O’Brien’s Irish raider (7/4 at BetVictor) is marginal in what looks a match between the Festival winners. Clan Des Obeaux will appreciate this sharper test having looked a non-stayer in the Gold Cup last time. Having studied the race again yesterday morning I did feel, however, that Paul Nicholls’ King George winner does favour racing right-handed and he is reluctantly overlooked. There is a strong Irish challenge and I think Road To Respect (2.50) can reverse Leopardstown form over Christmas with Kemboy. The selection can give the odd fence a nudge, but he looked ready for a step back up in trip when third behind Frodon in the Ryanair Chase last month. 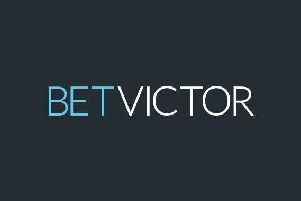 The selection is 5/1 with BetVictor and can reward each way support. Buveur D’Air (3.25) lost his Champion Hurdle crown when coming down at halfway last month but won this corresponding race over an additional half-mile two years ago and he is taken to return to winning ways. Nicky Henderson’s duel former Champion is 5/6 with BetVictor and he should get a good tow into the race with Faugheen – another former Champion Hurdler – likely to go hard from the front. Road To Rome (4.00) jumped fast and straight when making all at Haydock on his penultimate start but he did go out to his right on a number of occasions in the Cheltenham Foxhunters’ last time. 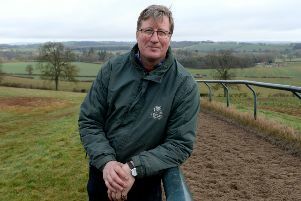 I feel he holds outstanding claims over the National fences this afternoon and he gets the each way vote at 4/1 with BetVictor who are paying five places. Lady Buttons (4.40) is equally effective over hurdles or fences and I hope this consistent mare can land the Red Rum Chase for Phil Kirby. The each way selection is 9/1 with BetVictor - who are betting five places on this valuable handicap – and she should have the race run to suit as there is plenty of pace in the race. Minella Melody (5.15) has won both starts by an aggregate distance of 22L and she is taken to land the listed mares’ bumper for Henry De Bromhead. The selection may have most to fear from fellow Irish raider Daylight Katie who improved to win convincingly at Gowran Park for Gordon Elliot last time.